344 photos in database by this submitter. 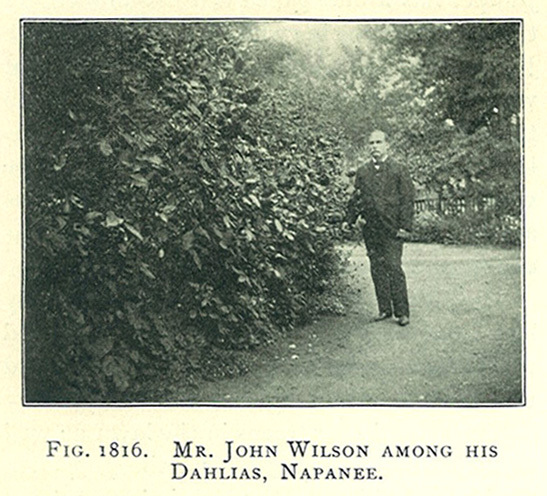 Comments: John Wilson (Nee: ) | Napanee Canada | 1851-1900 | Comments: This photo of Mr. John Wilson appears on page 204 of The Canadian Horticulturist, vol.23, no.5, May 1900. See that reference for more details. Mr. Wilson was interested in horticulture and floriculture and raised dahlia flowers. He apparently lived in Napanee in Canada. That is all the information I have on him. I am not researching this line, just saw the photo and thought I'd post it.